Emöke B’Racz, born in Budapest, Hungary, is a poet, translator, and owner of Malaprop’s Bookstore. She is the author of poetry books Raising Voices and Every Tree is the Forest and translator of collected poems by exile Katalin Ladik Stories of the Seven-Headed Sewing Machine. Her work is published in New York Quarterly, Asheville Poetry Review, International Poetry Review, and many others. The Women on Words poetry anthology Remember Me as a Time of Day was compiled by Emöke and will be featured this Sunday, December 16th at 5pm. The poetry reading features the Women on Words poets Alicia Valbuena, Barbara Gravelle, Eileen Walkenstein, Emoke B’Racz, Genie Joiner, Maryann Jennings, Nancy Sanders, Patricia Harvey, Piri B’Racz Gibson, Sena Rippel, Virginia Haynes Redfield, and Zoe Durga Harber. Emöke took time out of her busy schedule for a brief interview about Remember Me as a Time of Day. First, share a short history of the group Women of Words. Women on Words has been in existence practically since I opened the doors to Malaprop’s. The poetry selection in th store was more international then American because I was more familiar with poets from EU, but as time went by I learned. Women on Words was formalized about ten years ago or so. There has always been a performance group or a poetry writing group. 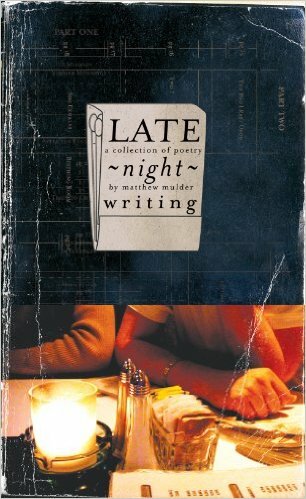 As an anthology celebrating the 30th year anniversary of Malaprop’s, what can readers and poetry lovers who are not from the local region learn from Remember Me as a Time of Day? Readers of the anthology Remember Me as a Time of Day will learn that the local poets’ voices are universal that poetry is within geography but borderless. It is also a nice mix of voices that support the body of the work as presented. Finally, I recall a verse from Alicia Valbuena, “this poem is why I can’t sleep at night why I can’t lay my head/to rest…” It reminds me of T.S. Eliot’s line “Do I dare Disturb the universe?” How might readers be affected after reading Remember Me as a Time of Day? A feeling of joy and sorrow that is the essence of life and balances our soul’ s path into ourselves. A stronger self at that.